**Please Note: booking for peak Summer time is a MINIMUM of 6 nights. We have been burned in the past by a large group of teenagers so we must insist NO groups of teenagers or young people even if there is a supervising adult / parent. Gifts and giveaways: Free $100 New World Voucher with stays 6 nights or more. This is the perfect Family Summer Holiday Home. Spacious with lots of room for a large family - or 2 smaller ones! House has been renovated since photos and garage turned into internal laundry and second lounge. 4 bedrooms plus a second living area. We have 3 mattresses that can be used. Enjoy the large open kitchen dining area that opens out to the outdoor area. Relax in your surroundings outside in our sunny outdoor area or inside at our large kitchen dining area. Or if you just want to get out of the sun come into the lounge (nice big heat pump for air conditioning) and relax in front of our large 50 inch television. We have Sky TV so plenty to watch! We have also renovated our outdoor area this year to include a 7 person spa and outdoor covered area with rattan couch and fridge. 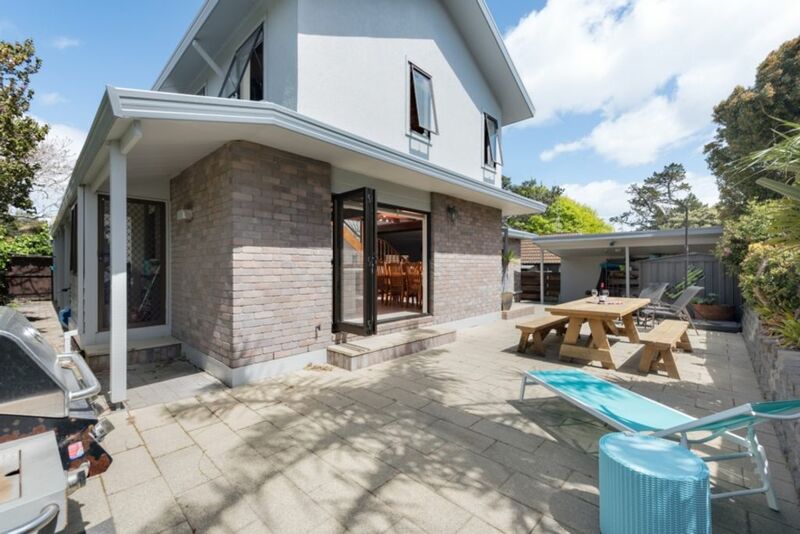 Walking distance to the Omanu Beach, close to Bayfair shopping Centre, walking distance to Golf, a large park 30 metres away, and close to the Main Mount Beach for local shopping, beaches, walking tracks, and a huge range of amazing restaurants and cafes. Located in a quiet cul-de-sac this is your perfect quiet retreat in our busy little town. Enough parking down the driveway for two cars. Please note: we do have a cat, pretty easy to look after but we would really appreciate anyone who comes and stays to put out a few cat biscuits every day.